With the breadth of products and solutions All Integrated Solutions provides, customers can consolidate multiple vendors – and capture product discounts – by purchasing out of our substantial inventory. From assembly tools to specialty fasteners, our industry experts apply years of experience to recommend your ideal solution. AIS distributes products from a broad range of domestic and international suppliers. 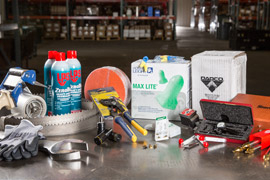 The breadth and depth of our inventory, combined with our product knowledge, sets us apart from the competition. 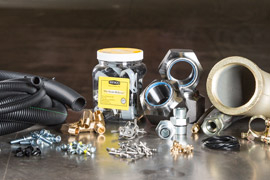 We have an expansive inventory of standard and specialty fasteners and fittings. With over 25,000 SKUs in stock and supply-chain partners throughout the world, AIS maintains industry-leading on-time delivery and quality ratings.